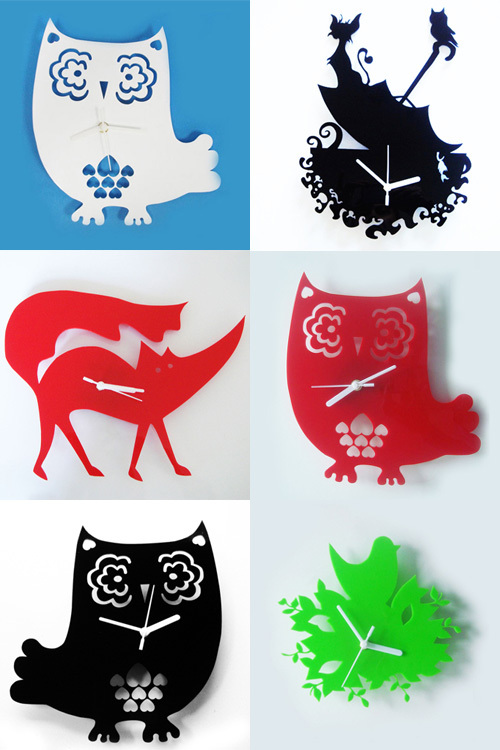 These adorable acrylic wall clocks are available in a wide range of bright colors and designs by Big Bad Wolf. Some of the designs are owls, foxes, birds, owl & the pussycat, to see the entire range you can visit their online store. Some of these designs are also available as necklaces and prints. 'Flat Pets': Silly or Not?